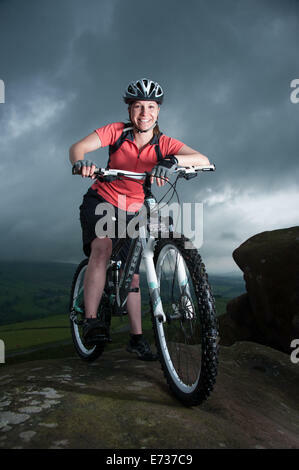 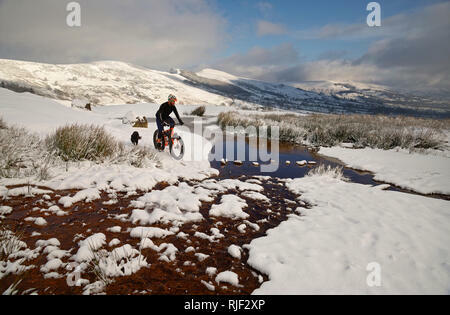 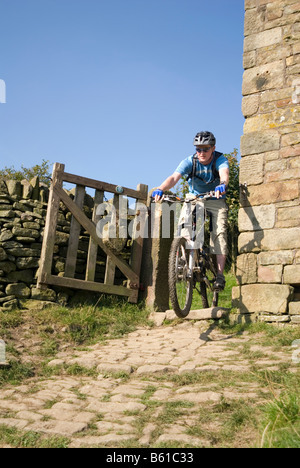 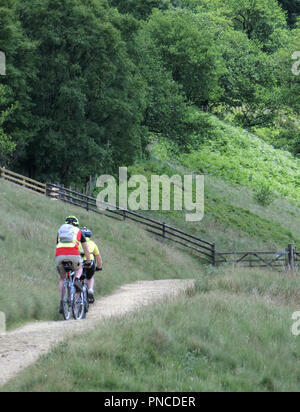 Mountain biker on a fatbike in the Peak District National Park. 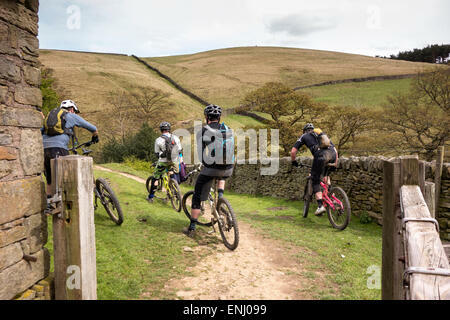 Climbing Mam Tor hill in the Hope valley. 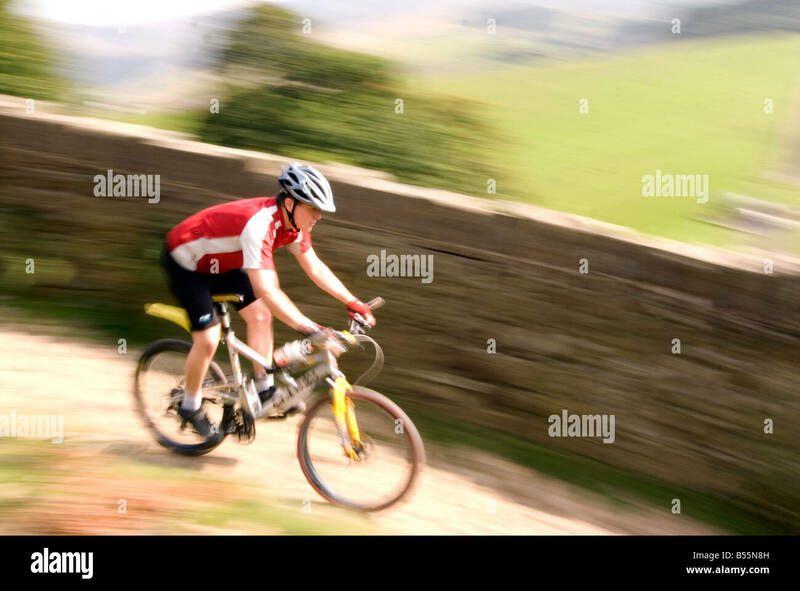 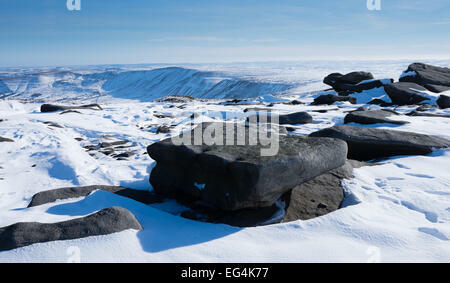 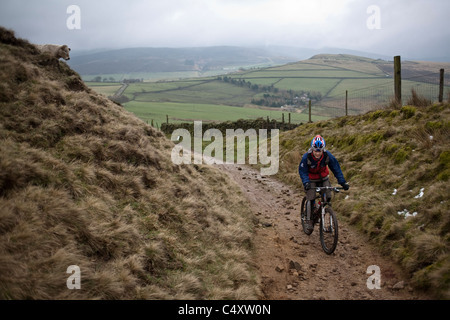 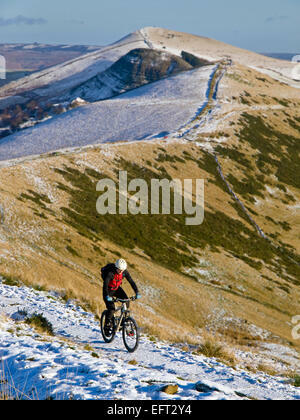 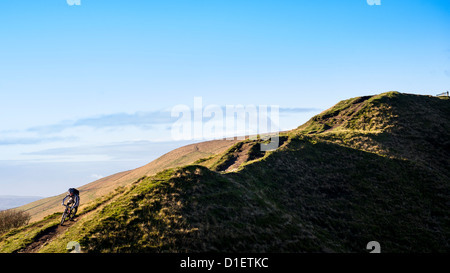 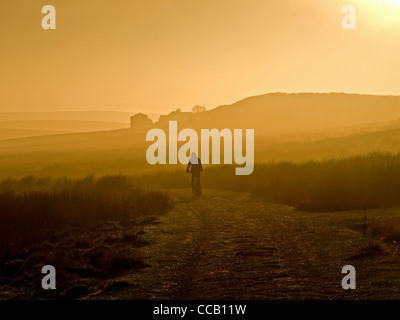 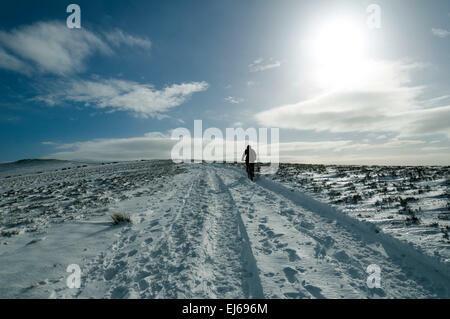 Mountain biker heading towards Win Hill in winter, Peak District, Derbyshire, England, UK.